Unlike what president Trump and his partisans claim, the presence of a businessman in the White House has not been positive for the economy. 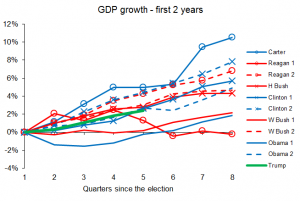 Instead, the economic performance is average compared to other presidents. 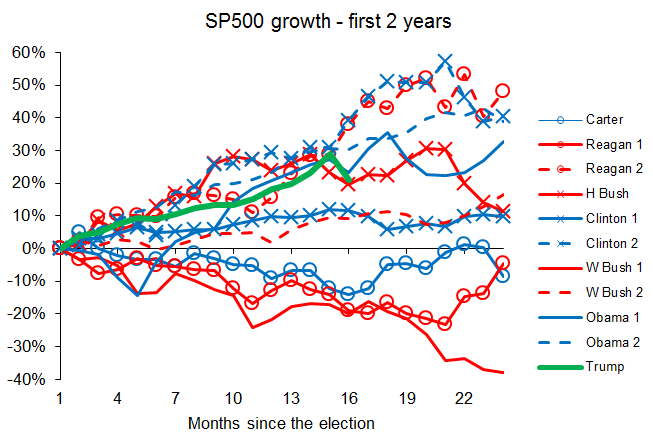 Connecting the health of the economy to the person in the White House is a bit silly, as many factors outside the reach of the president impact the business cycle. But never mind, what do the data show? To put things in perspective, we can compare some indicators under the various presidents since Jimmy Carter. 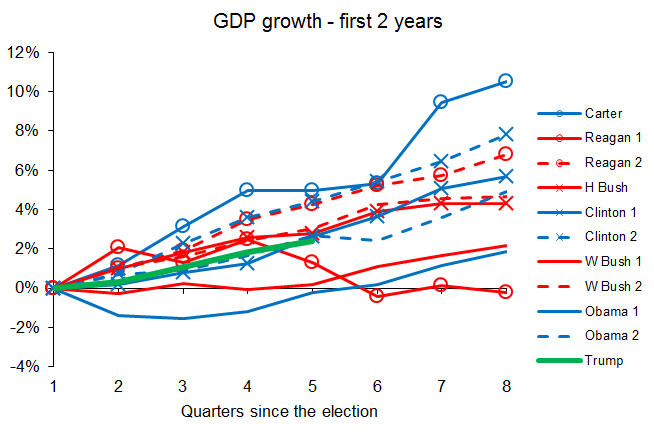 The chart below shows the GDP growth over the two years following the election of various presidents, democrats being in blue, republicans in red, and Trump in green. Since Trump got elected the economy has growth by 2.4 percent. It’s an average performance, and the two presidents who did worse (George W. Bush in 2000 and Barack Obama in 2008) were unlucky to start their mandates during an economic crisis. Other presidents did much better, including Bill Clinton and Jimmy Carter. 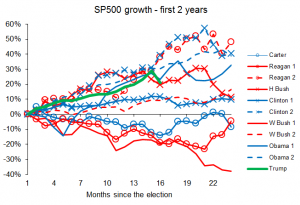 This may seem odd as we usually associate the Carter presidency with a weak economy. In fact, that weakness came only during the last year of his mandate. The unemployment rate has decreased by one-half percent under Donald Trump, a very average performance. 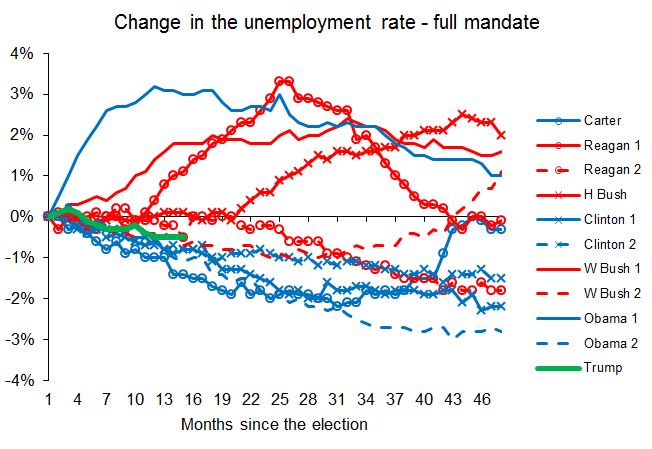 Clinton and Obama (in his second mandate) did better. 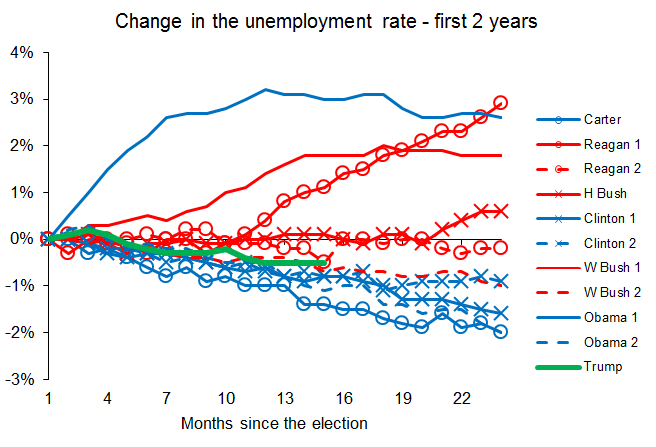 Ironically, the unemployment rate tends to decrease by more under democrat presidents than under republican ones, even if we abstract from the three mandates that started with deep recessions (Ronald Reagan in 1980, Georges W Bush in 2000 and Barack Obama in 2008). 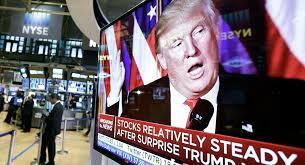 Trump does better for the stock market, the SP500 index being up 21 percent since his election, even taking account of the recent correction. 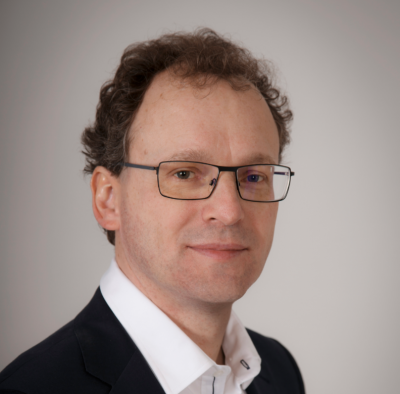 It’s a good performance, but we are far from a confidence boom that his businessman aura would have brought. 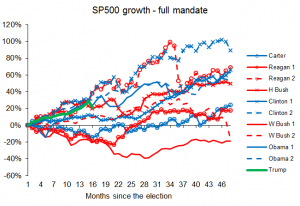 In fact, the combination of a strong stock market and average growth is exactly what we would expect following tax cuts aimed at businesses and high income households with a limited economic stimulus impact. 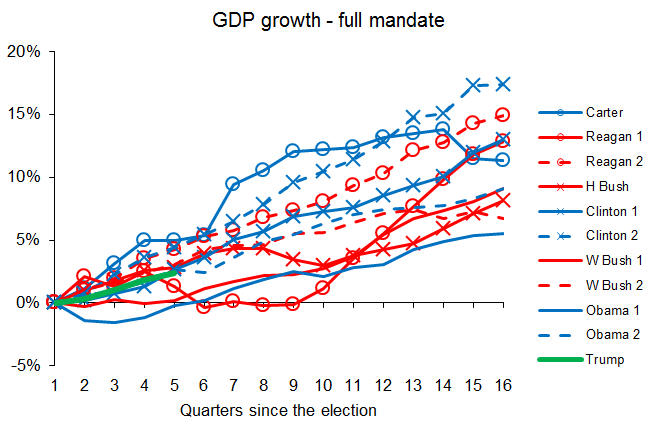 It is interesting to compare the economic performance over the entire duration of presidential mandates instead of just the first two years. 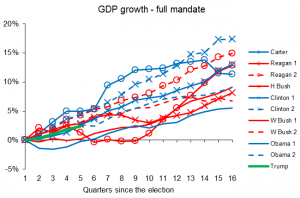 Far from the image of republicans being better stewards of the economy, we see the growth is generally higher and unemployment weaker under democrats (the first mandate of Obama under the worst phase of the recent crisis being the exception). The two mandates of Bill Clinton were particularly prosperous. This in no ways shows some superior skills of democrats, as the economic situation is far from being under the control of the White House, but the cliché of republicans being economically stronger takes a hit. A little known point is that over his full mandate Jimmy Carter did as well on the unemployment front as Ronald Reagan did in his first mandate. The recollection of the Carter’s presidency being a weak economic time is primarily due to the sharp worsening in the last year of his presidency with the second oil shock, which in the end cost him his job.